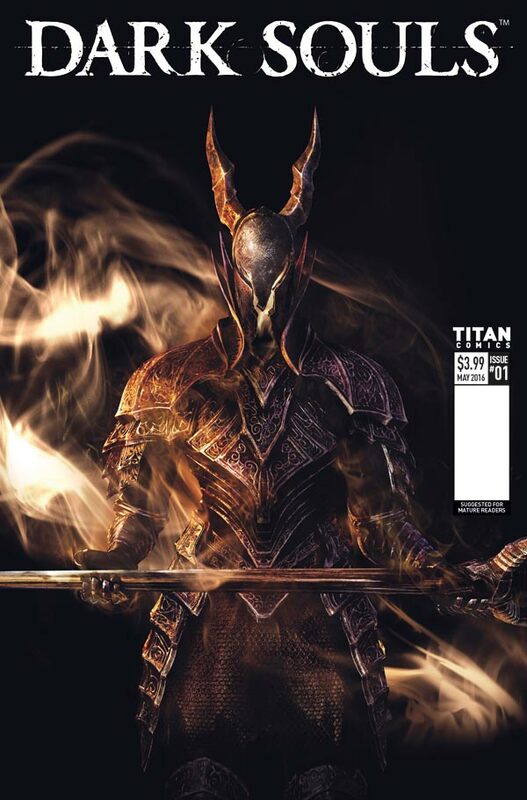 The Fellowship was fortunate enough to obtain a copy of DARK SOULS #1 from Titan Comics. The story is by George Mann, with art by Alan Quah, colors by Komikaki Studios featuring Norah Khor TCS, and letters by Rob Steen. The comic is based off the game by Bandi Namco Entertainment Inc. and Fromsoftware, Inc.
Never played the game, but I’m familiar with it. Fans of the game will love the book, but those who aren’t shouldn’t be afraid to take a look at it. There’s enough explained so you are not lost and there is a good bit of action. As awesome as the art is, the colors are unbelievable. Easily one of the best looking comics I’ve seen this year. Worth checking out. DARK SOULS #1 is in stores now, or available for ordering at www.titan-comics.com.